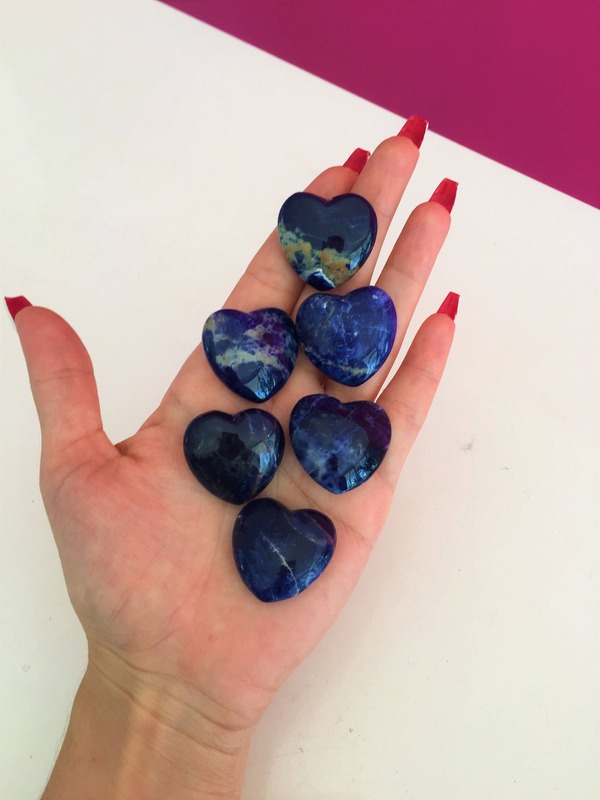 These Blue Sodalite polished heart stones have a gorgeous shade of white and blue. 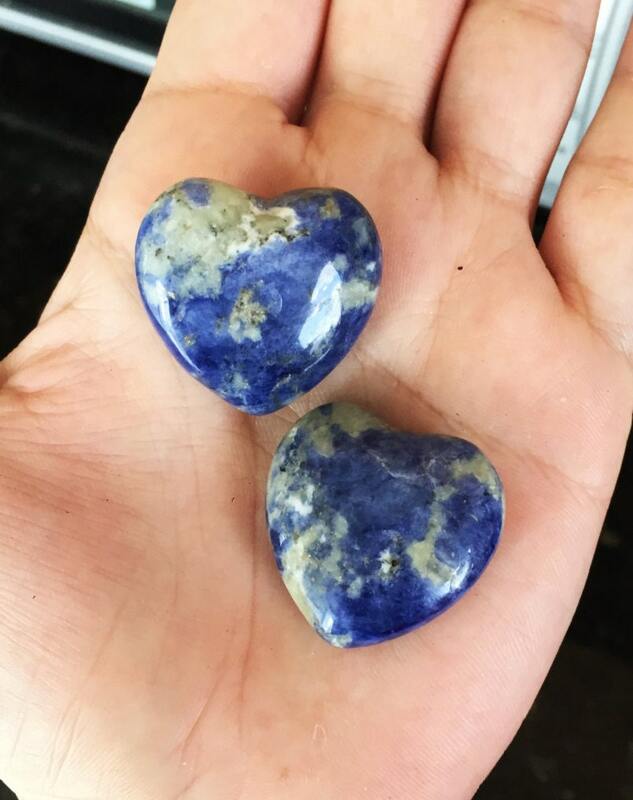 Sodalite brings order and calmness to the mind. It encourages rational thought, objectivity, truth and intuition, along with verbalisation of feelings. 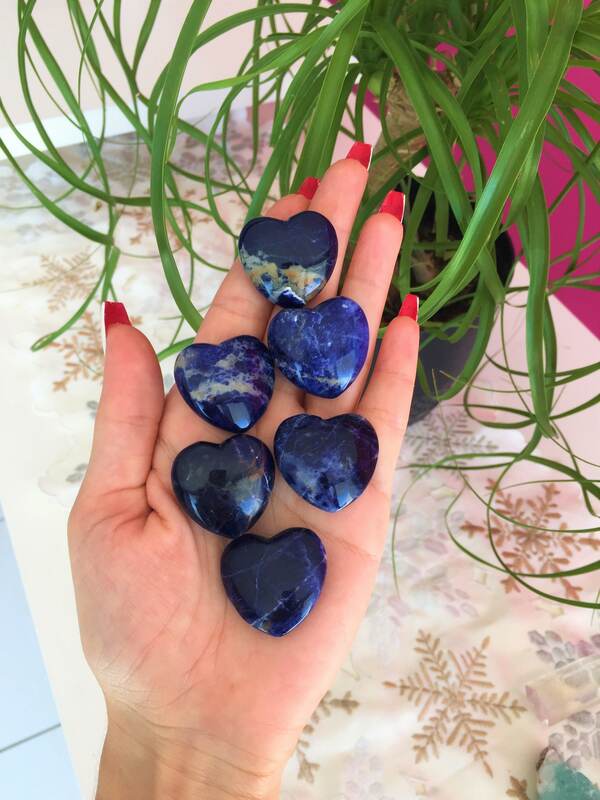 Sodalite brings emotional balance and calms anxiety. 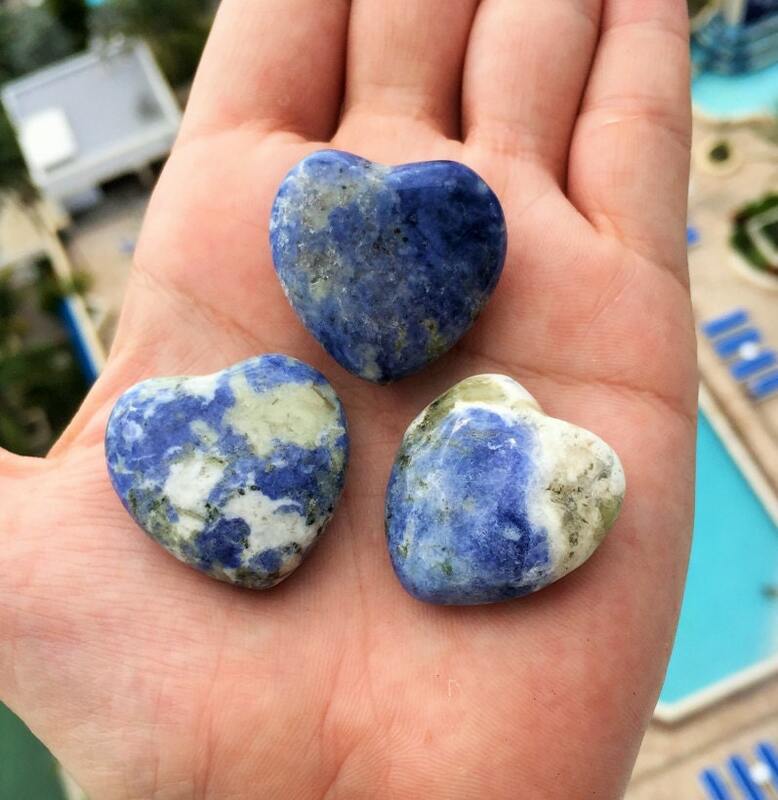 It enhances self-esteem, self-acceptance and self-trust. 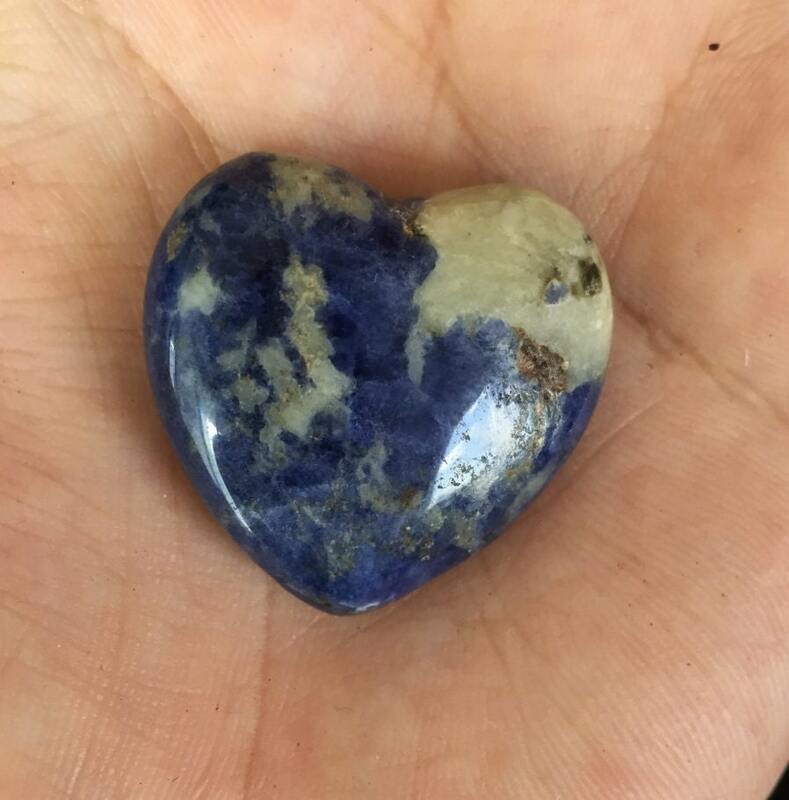 This Listing is for ONE Heart Blue Sodalite. 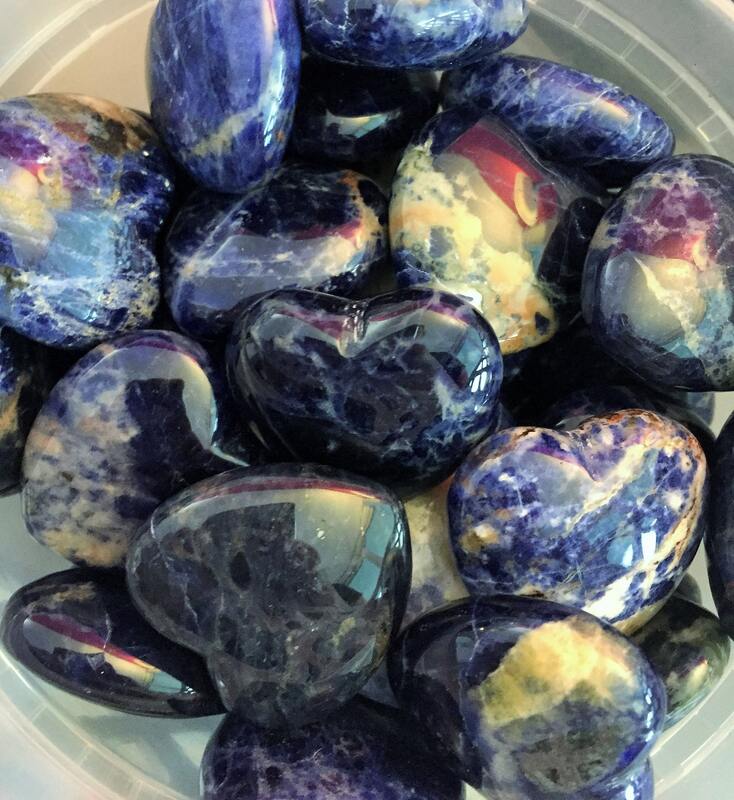 Lovely, just as pictured. Very fast shipping. Very happy customer!! Second visit and again rocked my order! 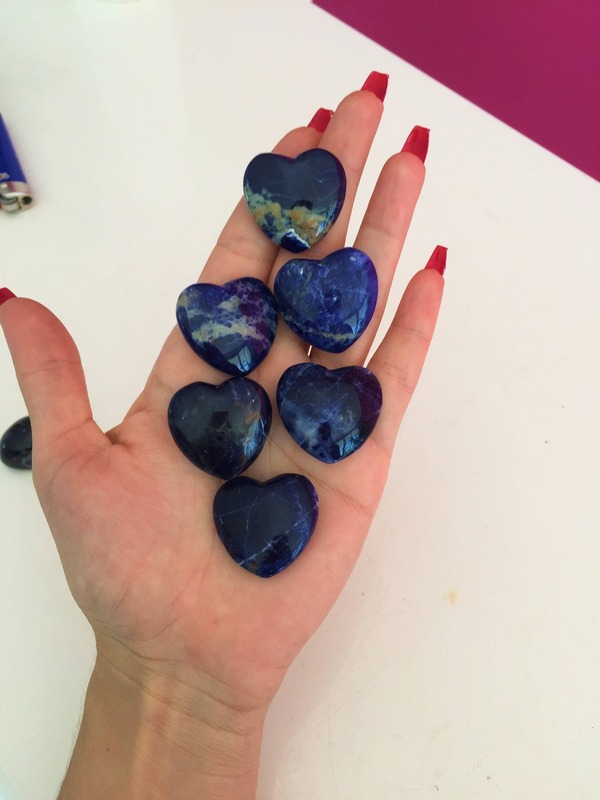 I love these hearts! They're always so smooth and sculpted perfectly. Plus the merchant is so on top of her business! 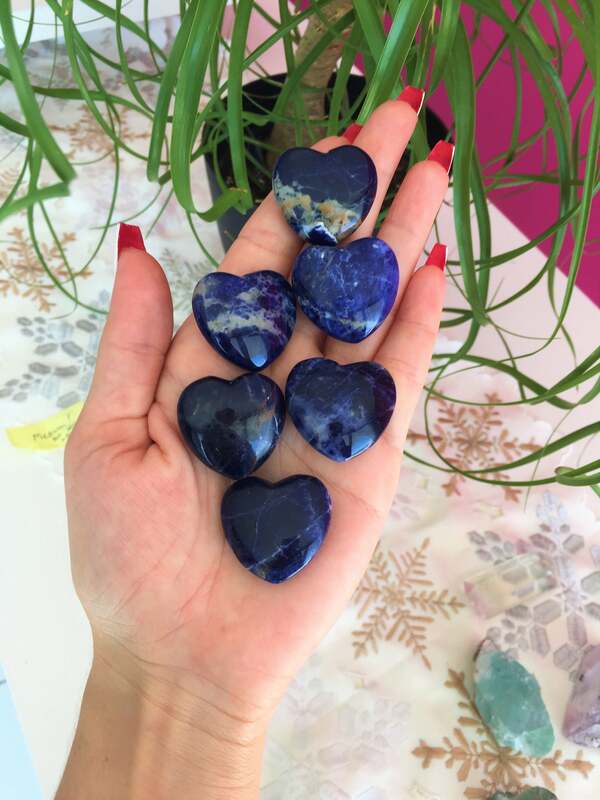 Fast shipping and great communication.